Stashing away daily bathing lotions and potions now got easier with the Nile Tall Cabinet, which comes to you from the house of Croydex. It is designed with utmost precision and incorporates an internal MDF carcass that boosts the strength and longevity of this fascinating fixture. 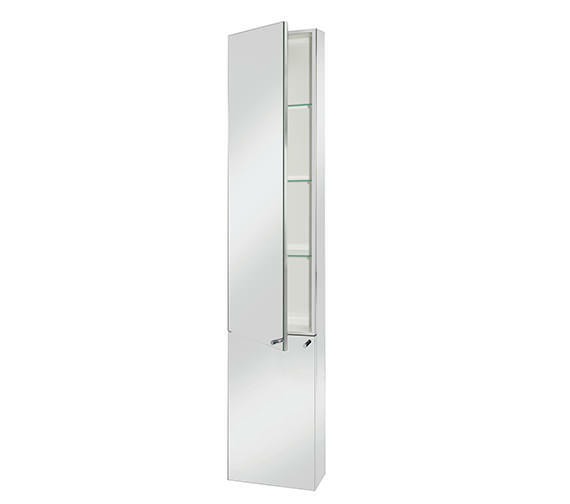 The two mirrored doors of this tall cabinet open up revealing three adjustable glass shelves, which offer storage space for personal items. It also includes a small hinged door with removable container on the reverse. Manufacturing code of this product is WC796005. well packaged and perfect size for my bathroom, used to store all my toiletries out of sight and extra mirror! 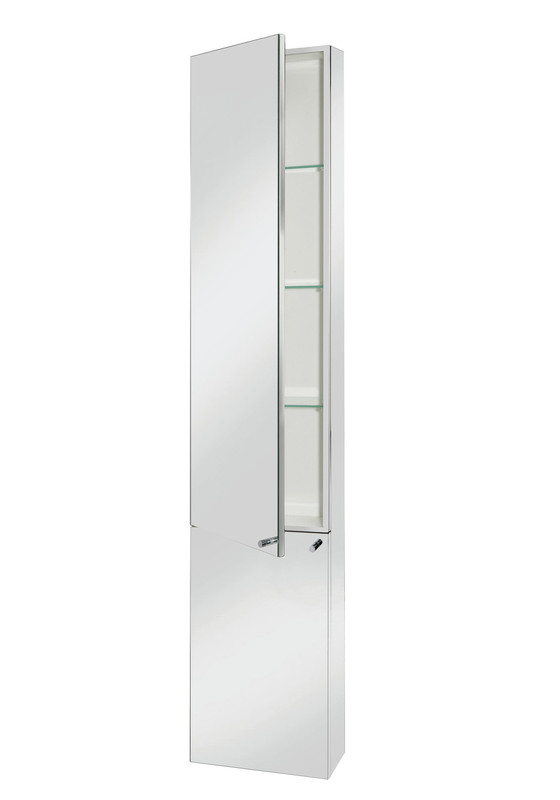 What are the internal dimensions of the Croydex Nile Tall Cabinet? Can I fit something 110mm deep on a shelf? We can confirm that the internal depth of this cabinet measures 90mm. Thank you for your enquiry. Unfortunately, the doors on this product cannot be altered. Hope this helps.